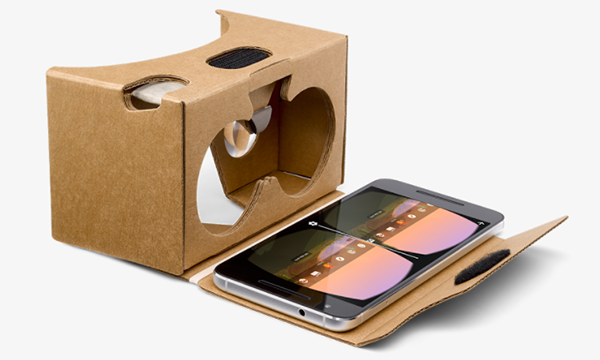 Google Cardboard transforms your smartphone into a Virtual Reality (VR) viewer in seconds! During a summer playdate with my best friend and our kids, he exposed me to Google Cardboard via a player received in the post from the New York Times VR (a recently launched content provider for Cardboard). 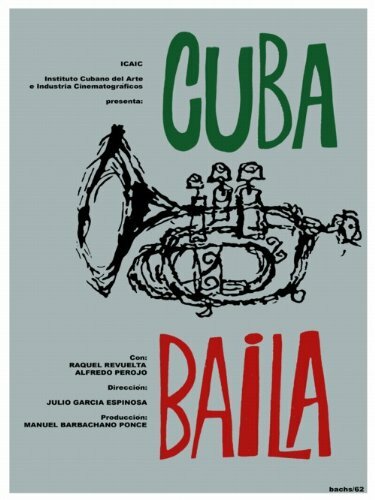 After slipping on a pair of headphones and staring deeply into headpiece (which conspicuously resembles the old, static View Master), I was blown away by the seemingly effortless experience of swimming underwater with dolphins, climbing the spire of the new World Trade Center, and exploring the history of Cuban Dance. Despite the fact that Cardboard is 360-degree video and isn’t true virtual reality it is an astounding, immersive experience for only $15 and the content being created for the player (many of them free) is equally impressive! 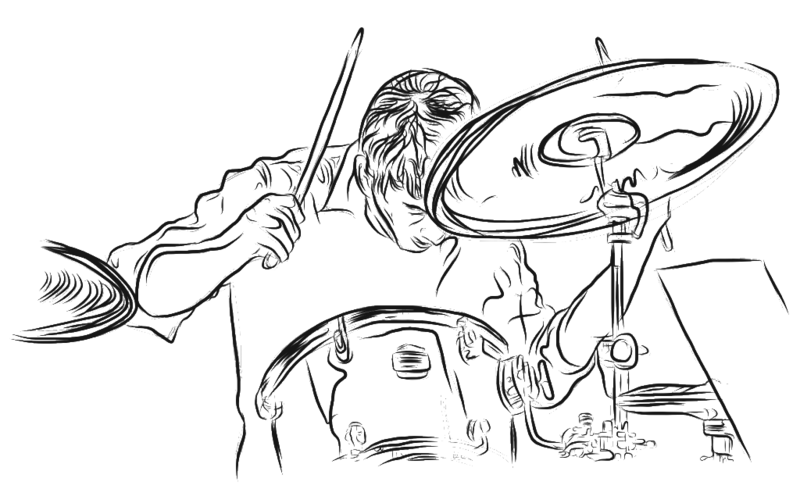 Avant Garde photography and clever online animation turns feature article into a user experience art piece. 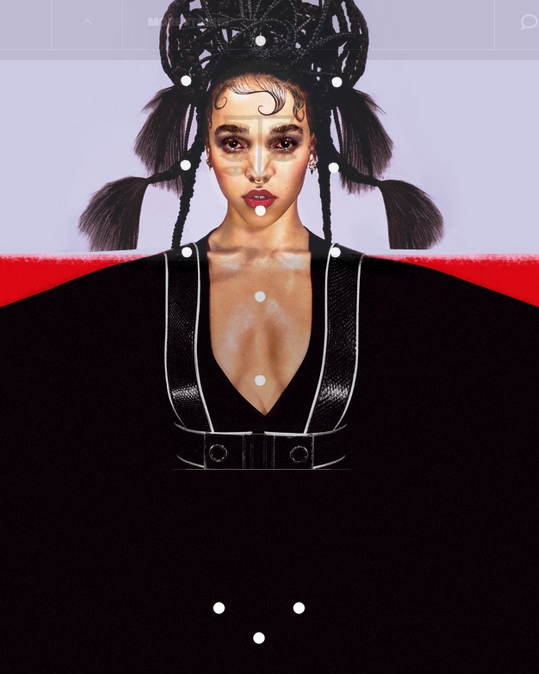 Kudos to the staff of Complex Magazine for its approach to the feature article on Pop and R&B Art Futurist FKA Twigs. Part artist profile, part interactive art exhibit, and part user experience multimedia experiment; it boldly shows a glimpse into the possible future of entertainment content delivery. 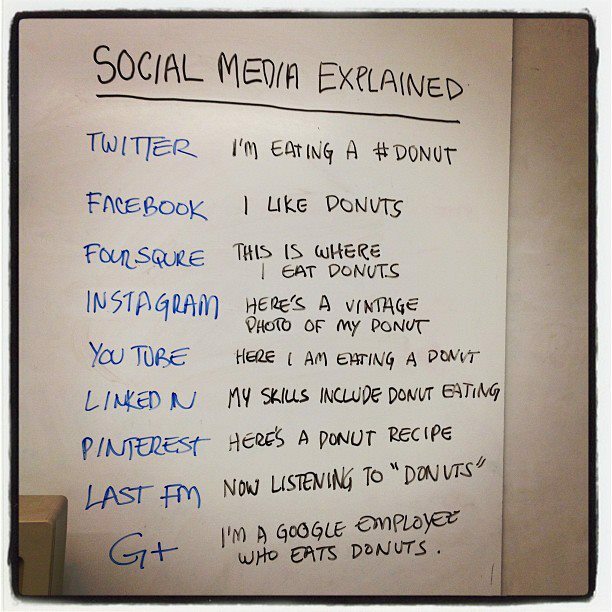 Let’s celebrate National Donut Day with a fine donut, a hot cup of coffee, and a quick lesson from Doug Ray at Three Ships on the difference functions of social networks. Enjoy! Electronic music production and DJ training facility Dubspot has been instrumental educating the public on the history and technique of the DJ and two-time DMC (Disco Music Club) turntable champion and instructor Shiftee’s examination on the craft is an arresting blend of historical lecture and performance art. So You Want to Learn to Code? Five Great Resources to Improve Your Web Skills! I am a Graphic Designer with a little bit of Front-End Web Development experience—no one would ever confuse me with a programmer or full-stack developer. In all honesty it takes some knowledge and experience for me to accurately assess what I know and what I don’t know. 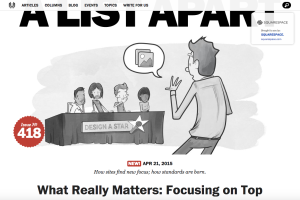 A List Apart is a great web resource. 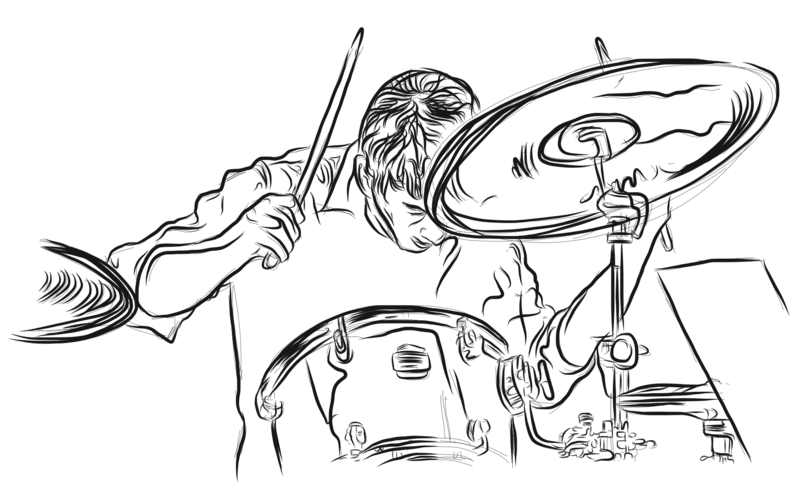 Find out what you don’t know, gain confidence, and have fun! To Wix or Not to Wix? Helpful content management tool or a sign of the end of civilization? In the past six years I have had many client inquiries to build a website for a product or service and several have wanted to use a template-based Content Management System (CMS) like WIX. 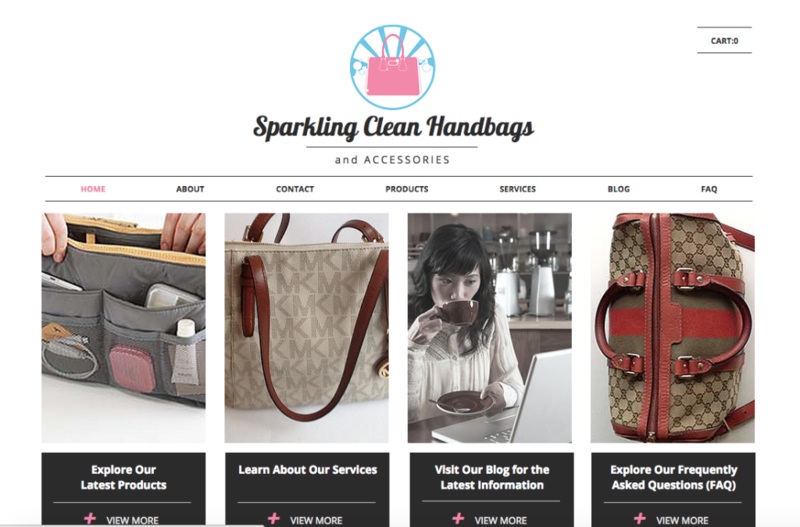 Although these drag and drop, do-it-yourself sites have been a source of controversy amongst designers and developers (several months ago I attended a designer’s meeting where the disdain was palpable); as a freelance designer and small-business owner I need to consider the factors of time, budget, and functionality and make the right decision for my client. 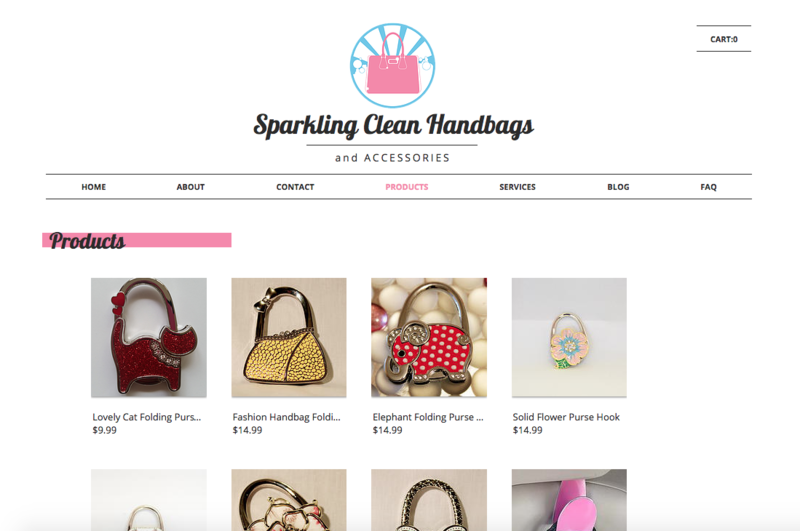 Sometimes that may mean using WIX, like I did for Sparkling Clean Handbags: a client with a small budget, quick turnaround time, and a service and products ready to go to market. In the end, the client loved the final product and I gained practical UX experience and gleaned invaluable metrics on the strategic planning and pricing of web projects. CMS services are innovations and tools that are here to stay, so it is necessary to make peace with the machines and fashion a peaceful coexistence. Familiarize oneself with CMS functions, usefulness, and drawbacks in order to provide your client with sound counsel and effective design facilitation based knowledge and experience, not fear and anger. 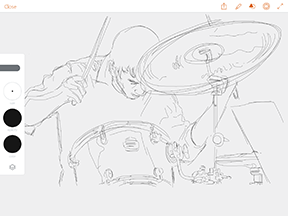 I loved the movie Whiplash and I think the kinetic energy and jazz subject matter makes it a great springboard to launch into a new illustrative poster project using Adobe Draw CC mobile application (in conjunction with Adobe Illustrator and InDesign). My goal of the poster is to use modern technology to create an homage to classic cinema posters and record albums of the 1940’s and 1950’s. Despite learning the functions of Adobe Draw CC, using a digital stylus as opposed to pen and ink, and grappling with capturing the detail, color, and movement of BOTH the subject and style; Version 2.2 is progressing well. Keep posted as the project develops. Version 2: Initial sketch in Adobe Draw application. Version 2.2; Refining sketch in Adobe Draw with Paintbrush tool.